Complete data-to-air digital wireless radio. MICROLINEAR, represented in Australia by Glyn , has released the ML2724RD-02, 2.4GHz radio reference design. It is a complete data-to-air digital wireless radio designed for low cost applications. It meets FCC and ETSI requirements and is available as a precertified transceiver module optimised for data rates of 1.5Mbps and capable of producing 19dBm of output power with receive sensitivity of -93dBm. The module requires a maximum of ten I/O pins from a host MCU and is intended for medium range, low data rate, low power applications. The ML2724SK-01 starter kit includes example applications hosted by a PIC microcontroller implementing a simple point to point wireless modem protocol. These reference designs include everything needed to implement the design, including all physical and electrical design information, bill of materials, and component specifications. To ensure long battery life, the single-chip transceiver offers short data transfer times by transmitting and receiving data at a rate of 1.5 Mbps. The low-IF architecture is designed to reduce the bill of materials and board size of wireless products by eliminating SAW filters, tank circuits and data slicer components. It also implements closed-loop modulation for unlimited data transmission times, and automatic filter alignment to eliminate manual tuning operations during manufacturing. The transceiver IC is offered with tools that help wireless systems designers speed the process of evaluation and adoption. 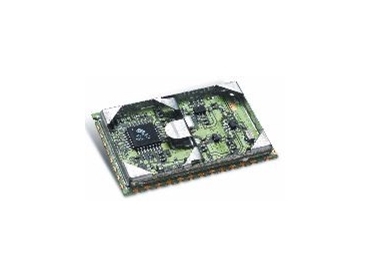 The ML2724SK-01 starter kit which includes two complete RF evaluation boards, each with a motherboard that has a programmable microcontroller, 2.4GHz antenna, DB9 cable for PC connection, 5V dc universal adapters and four ML2724 samples. The kit also provides a software test and debug environment for programming the microcontroller and accessing the programmable registers.